Please wear covered shoes for PE. We have started a new computer program that students can do at home to practice math fluency. Please log on with your child and walk them through the setup and connect your email to their account. They have the log-in paper in their binder. 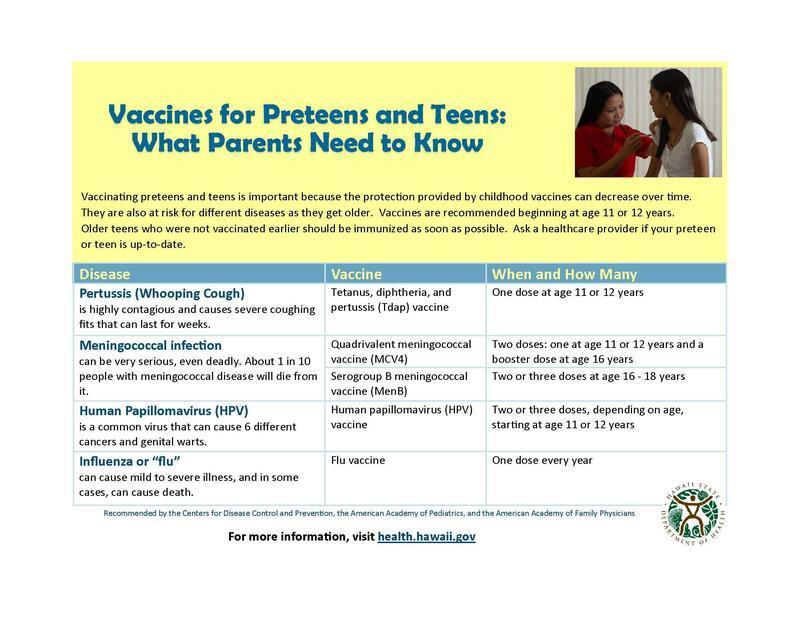 Information from the Hawaii Department of Health regarding vaccines for adolescents.